Not Baked & Not fried = Air Fried! 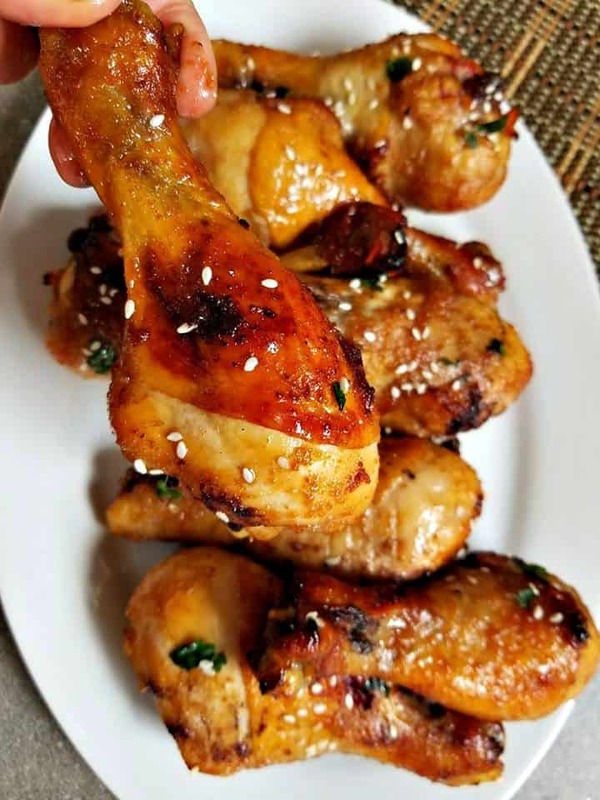 These Air Fryer Asian Chicken Drumsticks are sweet and sticky and are cooked to perfection in the air fryer. Air frying is a healthy alternative to deep frying food. And most air fryers have been marketed in a way to make you think that this cooking technique is best for those who make a lot of those at home. Well I am here to tell you that you do not need to just be a deep fried food lover to want to use this cooking method. 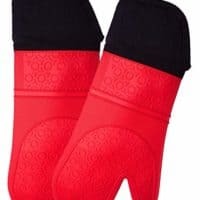 RATHER if you love to bake food, then this is also a great alternative. And in most cases is much healthier than traditional baking methods. Because air frying mimics deep fried foods but uses little to no oil. And if your cooking something fatty, the fat will drip away and off the food. 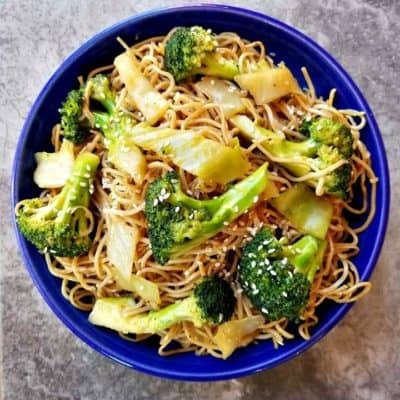 So you can enjoy all the same deep – fried or baked foods that we have all come to know and love again but in a healthy way. The air hot air is what cooks the food not the oil. If you have some frozen foods on hand, feel free to throw out any deep fryer you may have because the air fryer can now do the same job. 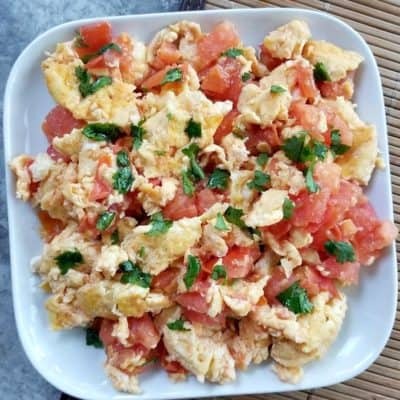 But it is not only frozen food that can be cooked this way, pretty much any food you can think of can. 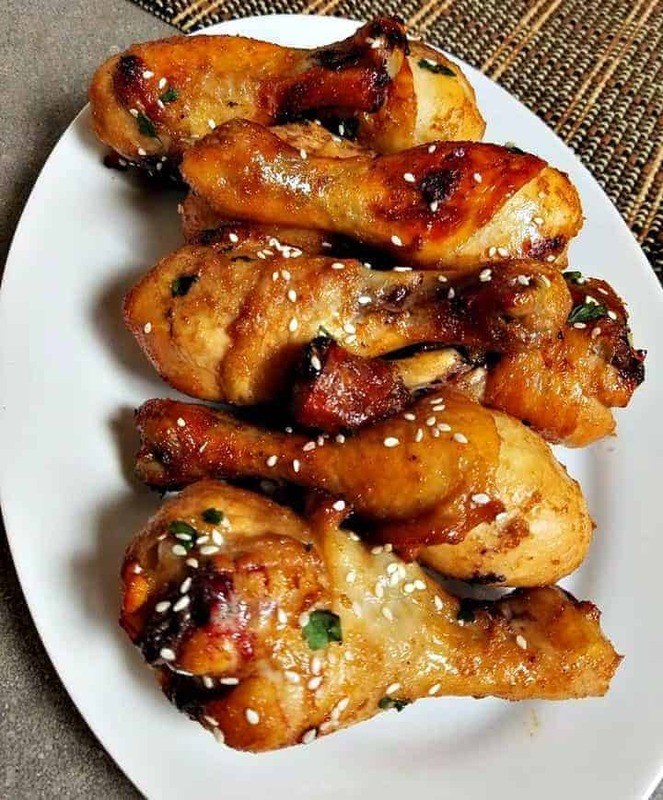 If you like sweet and savory asian inspired chicken flavors, then you’re sure to want to add this recipe to your cookbook collection. I’m super excited to share my first Air Fryer recipe with you all today. I have been on the fence for the past year about buying an air fryer. Mainly because I do not eat a lot of deep fried foods and also because I could not fathom spending $200 plus for ONE. Air fryers promise that you can get that deep fried texture without all the grease. So recently when I came across the Gotham air fryer, that does the exact same thing as an air fryer. And knew that I had to try it! 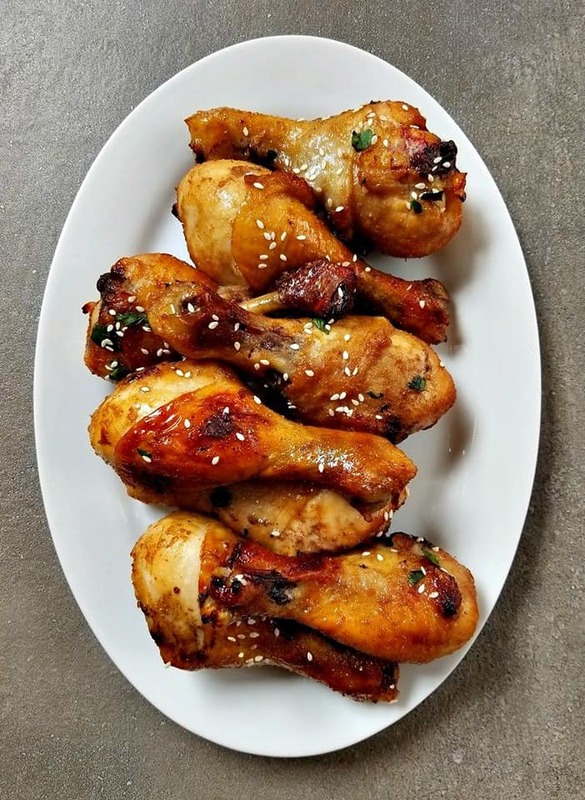 So I’m now starting a Air Fryer collection of recipes on this blog because I have fallen in love with this NEW kitchen tool. 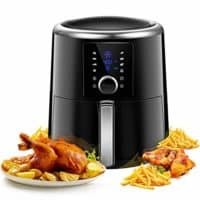 CAN I USE ANY KIND OF AIR FRYER? 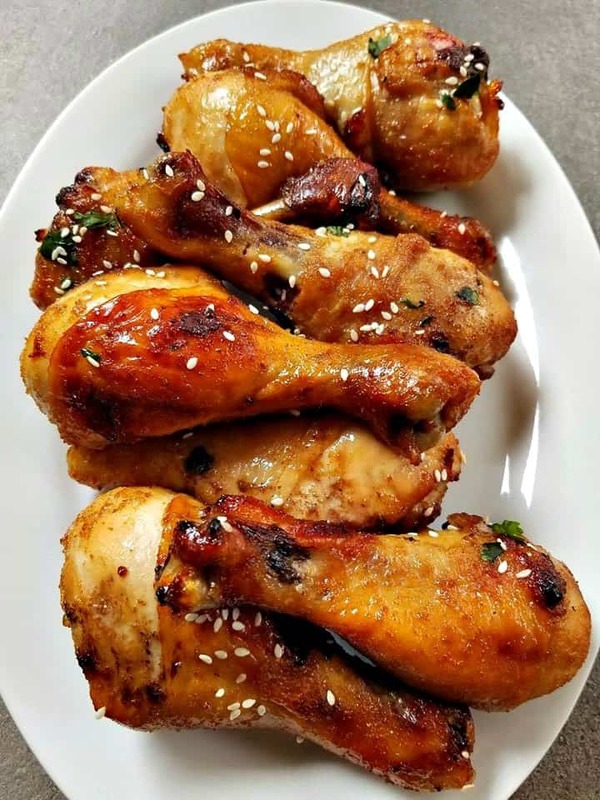 HOW TO COOK CHICKEN IN THE AIR FRYER? 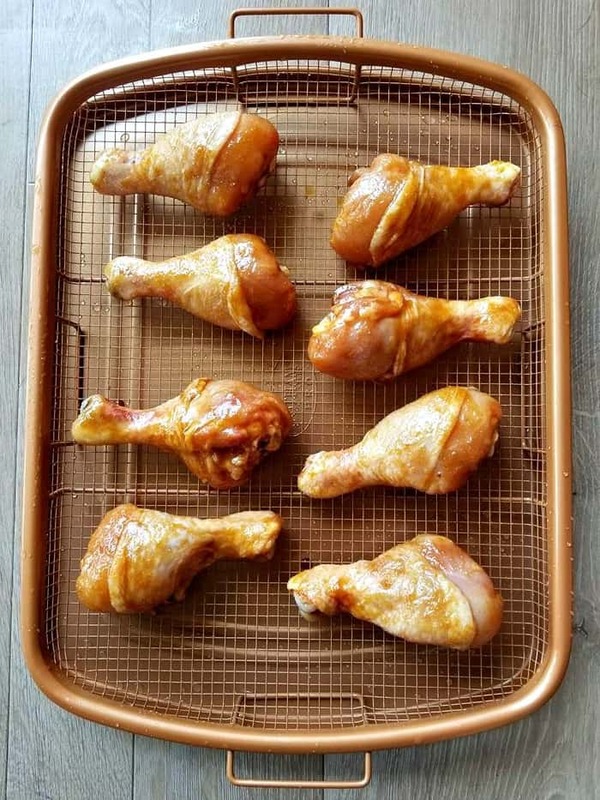 If your using a Kitchen Top Air Fryer, follow your Air fryers cooking instructions for chicken drumsticks. Then coat the Chicken in Olive Oil vs Cooking Oil = 3 tbsp per 6 legs is enough. Marinated the chicken for 30 minutes before air frying. Place the Chicken in or on the Air Fryer and allow it to do the Cooking. The Chicken will be ready in 30 minutes! 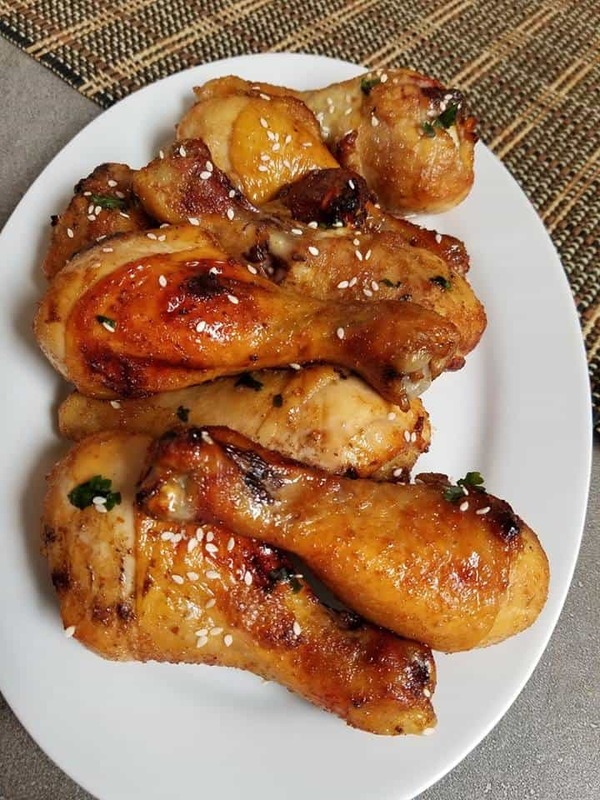 HOW TO COOK CHICKEN ON THE GOTHAM STEEL AIR FRYER? If your using the Gotham Steel Crisper I would advise to turn your oven to Conventional bake, which will make the chicken extra crispy. Otherwise if your oven does not have that setting you can simply place the crisper on the middle rack, which works well too. Follow the same instructions above. 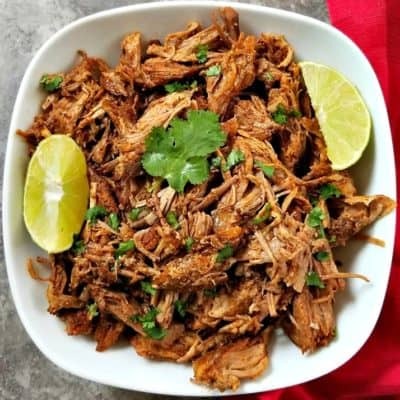 If you have a table top Air Fryer all these recipes will work the same. Because Air Fryers all use the same type of cooking techniques. IS AIR FRYER CHICKEN HEALTHY? Yes, in comparison to other methods of cooking chicken it is. If you have never used an air fryer, now is the time. They are more affordable now than ever. 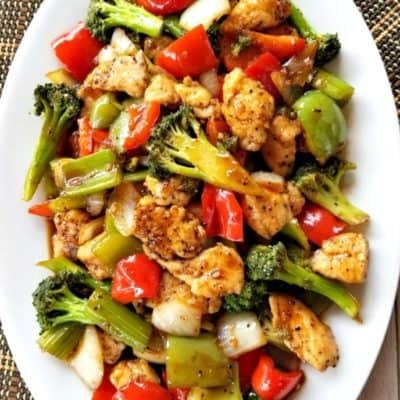 Plus they are also a much healthier way to cook food, since the fat drains away and it is never deep fried. Some people think that an Air Fryer is mostly for people who eat a lot of fried food. I admit I once was apart of that group, however I soon realised that if you like to bake foods too. Like I do, then the air fryer really cuts out a lot of the unnecessary fat. 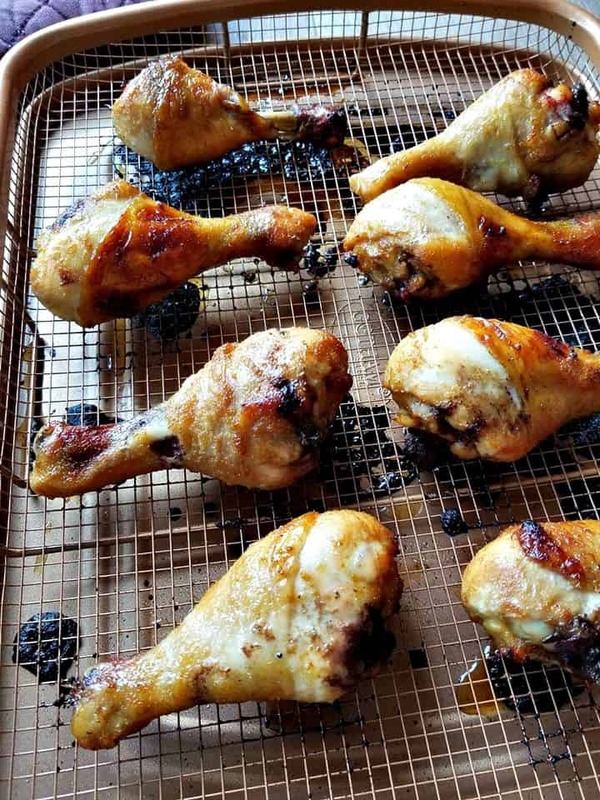 Think of it, how do you typically bake chicken drumsticks or legs? If you are anything like me. 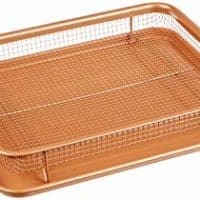 You would place it on a pan in the oven and sometimes use a baking sheet to catch the grease. However with the air fryer it elevates the food and allows all that (FAT) to drip away. Plus if you use the Gotham Air Fryer it is super simple to clean, I am talking hard sticky food at the bottom of the tray slides right off. No scrubbing at all is needed, it could not be more simpular guys. Another reason I like the Gotham Air Fryer is because it cooks more food than the typical table top Air Fryers. Because it has a lot of space on that tray ! 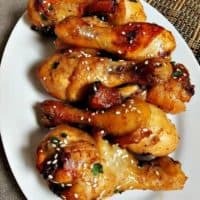 IS AIR FRYER CHICKEN KETO? Stay tuned to this blog for more “Air Fryer“ inspired recipes to come! In a large bowl, mix all the marinade ingredients and blend till smooth. 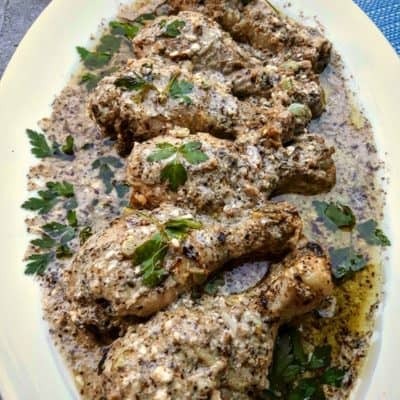 Rinse the chicken drumsticks and place the into the marinade, stir to combine and place in the fridge covered to marinade anywhere from 30 minutes to 4 hours. Preheat the oven to 425 f and place the marinade chicken in your air fryer or on your Gotham crisper wrack. Bake on the middle rack for 20 minutes, then with a pair of tongs. Turn the chicken over and bake the remaining 10 minutes till browned and cooked. Serve seasoned with sesame seeds. Enjoy!